My family has a habit, which is apparently a bit odd according to my friends, where we end up watching TV shows together. To the point where you are not allowed to watch the show without the others. For example, my mom, sister, and I all watched The Gilmore Girls together and considering that show had like 7 or 8 seasons, this was an intense commitment of watching almost every episode together. Our entire family watched Once Upon a Time together after starting with just me then my mom getting hooked, then slowly everyone else joined the bandwagon. My mom and I watched RISE together. My aunts and I watch This is Us together. It was really sweet because I hadn’t realized that he clearly felt like he was missing out since at some point in time I guess having “a show” became a part of how my family bonds. We all have pretty busy lives, so we’re not altogether too often and when we are it’s often after a long day where we want to chill out and apparently watch an episode of a show. I obviously said yes to my brother, but it’s been funny because he’s still fairly young so binge-watching isn’t something he’s into yet unlike how my sister and I watch shows. So now a year later we just finished season 2 today; albeit season 2 only came out in March so there was some reason for the delay. It was just interesting for me to think about all the different ways family’s bond with each other. Having been a member of the Education Reimagined community for a couple of years now, some of the presentions at this Lab Training I’ve heard a few times before; however, each time I learn something new. This time, I believe I’ve really enhanced my understanding of a paradigm shift and what that looks like. Particularly, over the past few months since the last training I attended, I’ve started to realize the necessity to explain to skeptics of the learner-centered education paradigm that I do not believe even the learner-centered model is perfect. Perfect in this sense inferring that it is the 100%, undoubtedly, “right” way to think about education. For one thing, it’s funny to even talk about the “learner-centered model” because part of the ideology is that there is no single perfect way to run a school; but there are elements of different school systems and models that make it learner-centered. The way we think about aspects of life is constantly changing. The example we discussed today is how once upon a time we used to firmly believe that bleeding people was the way to treat illness. We may laugh at this notion now, but humans practiced this for hundreds of years before finally realizing that they needed to change the way they think about treating illness; thus the world of healthcare went through a paradigm shift and now we have modern-day medicine. It’s conversations like this where we have identified that there is something fundamentally flawed about the idea of teaching learners of the 21st century, information age with the same ideals and practices of the industrial age paradigm. We simply aren’t living in the same time; things are different now and the education system needs to reflect the new values and requirements of society. Learner-centered education may not be the “right”/”best” model for education- there’s really no way to know. Like everything, there are pros and cons and many unknowns that could be either or. However, I, as well as many other educators, do believe that learner-centered could very well be the “next” paradigm in the world of education. This is an important distinction because I want people to understand that I haven’t been brainwashed to think that learner-centered schools are flawless. I acknowledge that every school still has their weaknesses, and in that regard, not every aspect of the old traditional paradigm is this terrible beast we must burn at the stake. However, as a mindset, I do believe that the traditional paradigm is not meeting the needs of all students, parents, teachers, and other community stakeholders, therefore, it must be replaced by a new paradigm. The learner-centered education paradigm is just the next step in the direction towards trying to find that perfect education system we all like to dream of existing. The past few weeks I have been conversing with Mary and Cali Ragland, two seniors from Perkiomen Valley High School in Pennsylvania. These two are are currently taking an independent study course around the essential question: “How might we design an educational system that best meets the 21st learner’s needs by valuing curiosity?” They reached out to me after having been introduced by a teacher to some of my blog posts and learning about my work in the Education Transformation Movement. Furthermore, my work designing the AP Lang Collab Course last year, where I co-developed an AP Language and Composition course, was intriguing to them because they wanted to learn about how to push through the “dark night of the soul” in the life of an self-guided project. I would definitely encourage reading more about their work on their blog: Curiosity in Education. Personally, talking to these two has been great because it’s reminded me of how far I’ve come in the past few years, and reminded me how important it is for me to always go back to where I started- this blog. Senior year has made blogging very difficult because I have spent most of my “non homework writing time” working on college essays and scholarship applications. Then when I kind of have “free time” (which basically just means I have finished homework and have no planed activities or meetings at the time) I find myself wanting to savor the moment to take a break from intense mindfulness. However, I know how important it is to blog to not only share my story with others, but to reflect for myself and capture my learning journey. After all, I started this blog for me -not because I wanted hundreds of followers or felt like my voice was something that just had to be heard by others- I started it because of what I thought was a silly challenge to observe and reflect on the world more intently. In fact, I haven’t blogged in so long that I haven’t yet reflected on the fact that I was approved to embark on another curriculum creation opportunity by designing my own Independent Project!! I worked on overdrive with my mentors in order to put together a document to pitch the idea of an Independent Project to our administration. The end of the semester though was a very crazy time for me both in and out of school, so I got approved with the intent of needing the first few weeks of second semester to still work on the planning details. One of the first tasks I had was to figure out how I would devote my ID time, especially after the reMoVe10 design brief gained so much momentum after first semester. The design brief given to us by the Mayor of Sandy Springs, was designed to be a project we worked on during a single semester. However, our school admin, representatives from the Sandy Springs Council, and our new partners at Georgia Commute Options all got so fired up about the work we’ve been doing, that we realized this project needed to continue. Because of this decision to change the scope of the project, our team had to look back at our team roles and norms and decide how best to continue based on plans that were already set for second semester. I already had plans to work on my Independent Project work, and another team mate was already in the process of another design brief opportunity. Therefore, we added a new member to our team, and I used the month of January to waning out of my position as team leader to make a smoother transition for the new team. My plan is to continue to work with the reMoVe10 team, but more as a consultant for them to help give feedback and provide assistance at specific events. While continuing to work with the reMoVe10 team this past month, I used 4th period (my Independent Project time) to start further brainstorming what my video will look like, while getting a Film Course 101 tutorial from a mentor, and continuing to find ways I can discover and experiment with changes in education specifically in regards to the role of student voice. So far I’m diving deep into essential questions such as “What motivates people to learn?” “Where does ‘passion’ fit into education?” and “What gives students agency?” as my design drivers, though I believe as I start to interview people the story line will become even more clear. I’ve learned that with documentaries one of the best things to do is to just press record and start filming. So now that I’ve officially had my last day full time with the reMoVe10 team (last Wednesday) I’ve been gearing up to dive all in on this Independent Project using my 8 hours and 40 minutes a week (between ID time and my new Independent Project specific time) to research, film, and synthesize information about the social science of education change. We pushed “purchase” on some new awesome film equipment yesterday, and now the fun (and intense) work is about to really start! It’s been a busy week for me with acro camp, coaching, and spending time watching Harry Potter with my family for the first time. I like being a little busy though because I like feeling engaged and productive and active. Though even when being busy and active, ID over the past two years has really taught me the value of capturing your work so that you can later look back and let others get a little closer to understanding your experiences. So for the past few days, on top of everything else, I’ve also been working on compiling a large amount of pictures from twitter of fuse16 to put into a video montage. And I’m happy to say that with it now being a week since fuse16, I finally have finished the video and have uploaded it to youtube so that I, and hopefully others, can look back and remember the fun and meaningful days we spent at this year’s fuse. Today I did a lot of video making. First I finally took the time to edit a short film that I made in 5th grade for Discovery class. Every group was making videos of our favorite memories from 5th grade and my group decided to do Pi Day as our event; however, Pi Day hadn’t actually happened yet, so we just made up what we thought it might look like for our film “Pi Day the Musical”. I may have edited the video better then I could have then, but the acting and singing was still really rough, but pretty decent for 5th grade. I figured today would be one of the best chances I had to edit it before Pi-A-Palooza (3/14/15 at 9:26 and 53.5 seconds) where I want to do the big unveiling. Next I decided to create a video for ID to celebrate everything we did during this very first semester of the cohorts existence. I remember saying I wanted to do something like that a while back, so again, this seemed like as good a day as any to make it happen. I’m not sure exactly why or how I had this thought, but I realized today that I am much better at following through on things when I’m in a group. In order for me to accomplish tasks, typically I’m more productive if I tell someone else about what I intend on doing so that I feel obligated to get it done. Even this blog is a perfect example of this, because if I wouldn’t have said in my very first blog post that I intended on blogging for 100 days in a row, I don’t think I would have been as successful. That is also why I decided to continue the challenge when those 100 days were over, because I don’t know if I would still post consistently without making it a challenge that others know about. 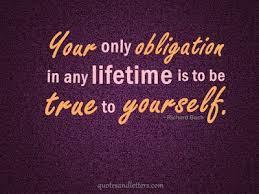 The power of obligation is pretty powerful for me at least. That doesn’t mean I only do things because I’m obligated to do and not because I actually enjoy it. I enjoy blogging, and making these videos was really fun, but telling others about it serves as a motivator for me. I wonder how this discovery relates to school, because I have a large hunch that it does. Why do some people feel more obligated to get things done at school than others? How does what you feel obligated to do connect to what you do when no one is watching? Can you want to do things that you feel obligated to do? I think you can. Furthermore, I think that when you want to do something and you feel obligated to do it, the task doesn’t seem as hard and it actually is fun, meaningful work. So imagine how much more exciting life could be (or maybe even just start by imagining how much more exciting school would be) if you were only obligated to do work that you wanted to do because it was meaningful?